Years ago when I found out I was pregnant with our first baby I was so excited. Life couldn't get any better, their was a little life growing inside of me, and I knew I would do anything for this baby. I was 19 years old and clearly I had a lot to learn about babies and being the best mommy possible, so I started reading. I read everything I could get my hands on, and I'm still the same way now. Even after years of mommy life, having five children, and an educational background, I still love to get my hands on new books. 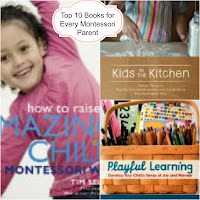 I've compiled a list of some of my favorite parenting and educational books hoping it would help others. There is a book on this list for everybody whether you are a new parent or raising 6, you'll find greatness in this list. The title says it all. It's a wonderful book with great pictures. A short easy to read, then do activities. If you are just learning about Montessori this is a great book for the basics. Tired of trying to figure out ways to talk to people about Montessori. This book gives you all that you need to be happy with your decision to incorporate Montessori in your life and schooling. A great read if you know you will be sending your child to school, it has lot's of great information on a Montessori education including questions to ask and what to look for in a good school. She focused on teaching the beginner mom several activities for each stage of life from infant to 2 years old. She also included a great questions and answers section. Gain the confidence you need to teach your child at home. This book goes over everything you need to know for those precious years from age 2-5. Love, Love, Love having my children work with me and by themselves in the kitchen. This cookbook is wonderful and perfect if you follow Montessori. This is a book for you if you want to know all about the how and why's Maria Montessori came up with this philosophy of learning. A long book, digging into the debate of why you should Montessori. The pictures in this book are breathtaking. The perfect book for a family of nature lovers. If you aren't a lover of nature yet, you will be after seeing this book. Definitely on my "Must have" list for every parent with a child over the age of 4. This book offers loads of examples of things you can do to expand on your child's way of learning and enhance your child's love for learning. I LOVE this book. Well that should keep you pretty busy, reading some great books with loads of knowledge. If I can help you in any way, or if you have questions on other books please feel free to chat with me on Facebook. 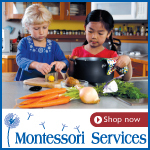 Follow Natural Beach Living's board Montessori ideas/activities/schooling on Pinterest. Want MORE book recommendations? 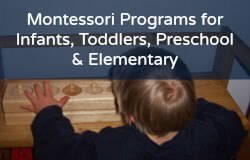 Go here (to our sister blog, Confessions of a Montessori Mom)!